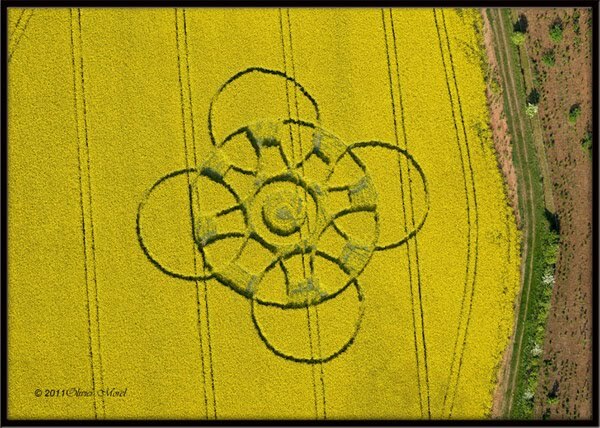 Here is the first crop circle of the 2011 season. The crops are now growing in the UK as they approach summer. The question is how many circles will be faked there this year compared to the genuine ones? This looks fake to me. Authentic circles are much more symmetrical. 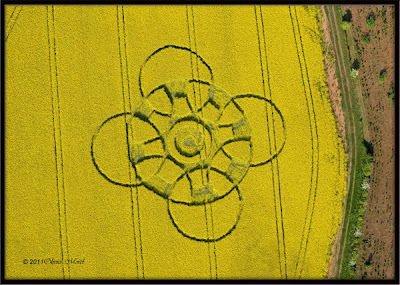 Imperfect circles ARE NOT what we would expect, or have seen, in past genuine e.t.made circles. Sorry, for me, it just doesn't feel right. 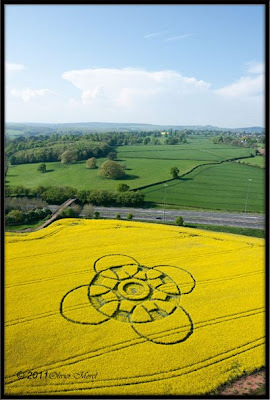 Here we go again with the crop circles, but why? Looks like fake. But maybe the aliens are a little rusty after the winter. This is an highly imperfect effort. But are pretty impressive when taking the time, thought, and effort people put into making them.